Judy Sagen retired from School District 196 of Rosemount, Apple Valley, and Eagan Minnesota in the spring of 2011 after teaching 37 years of high school choral music. She received her undergraduate degrees in Music Education and Piano Performance from Drake University and her Master’s Degree from the University of Minnesota. While teaching in District 196, Judy’s Concert Choirs and Women’s Choirs were featured performers at ACDA and MMEA State and Regional Conventions, The Dorian Vocal and Choral Festival at Luther College, and the St. Olaf Choral Festival. In March of 2006, The Eastview High School Concert Choir was one of six high school choirs selected to perform with world-renowned Chanticleer in a festival-concert in the Twin Cities. Judy has been actively involved in both the American Choral Directors Association (ACDA) and Minnesota Music Education Association (MMEA) in major leadership roles. She served as state president of ACDA of MN and held the position of Vocal Vice-President for MMEA. She is actively involved as a clinician and adjudicator around the state of Minnesota. She has been recognized numerous times in Who’s Who of American Teachers and Who’s Who of American Women, and was the recipient of The Christopher Randall Award given to an outstanding teacher in District 196. Judy was named the Minnesota Music Educators Association “Music Educator of the Year” in 2009, and ACDA of MN named her the 2003-04 Minnesota Choral Director of the Year.” In the spring of 2011 she received the School District 196 Outstanding Service Award recognizing her 37 years of excellence in teaching. This past school year (2011-12) she taught part-time in the music education department at the University of Minnesota serving as an Instructional Artist in Residence. 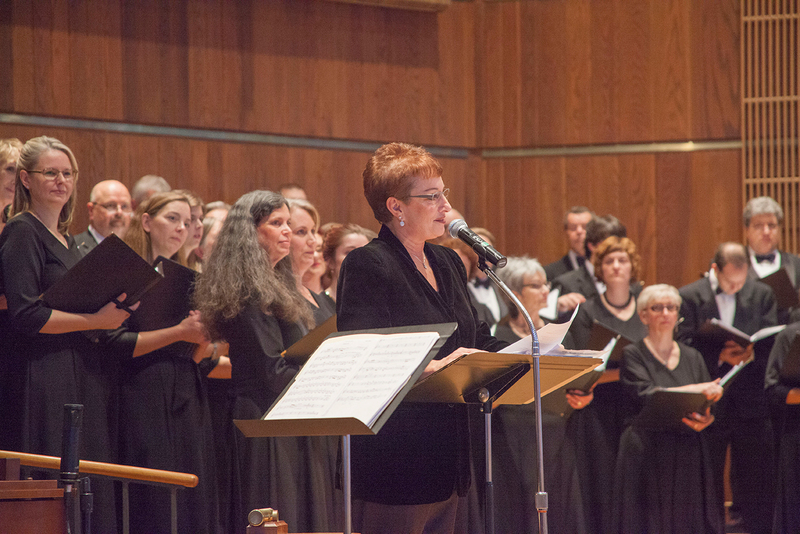 Currently she is the Artistic Director for the newly founded Minnesota Valley Women’s Chorale which is comprised of approximately 110 singers. Judy and her husband Michael have two children, Brent, a financial advisor in Wayzata, and Amy Jo Cherner, choral director at Southview Middle School in Edina. Amy lives in Apple Valley with her husband David Cherner and their son, Eli.